At the last Innovators Alliance meeting, I attended a presentation by Warren Creates and Irena Dule on the Afar People of Africa. It was an interesting presentation on the efforts being made by Warren and his team at Can-Go-Afar Inc.to help this ancient nomadic tribe. The presentation can be viewed here and the Can-Go-Afar website has a lot of additional information. What do you think of the work we’re doing? How do we make what we have started sustainable? How can we improve our fund raising efforts? The Afar people live in a region of Africa called the Afar triangle which is extends from the coast of Eritria and Djibouti into the heart of Ethiopia. 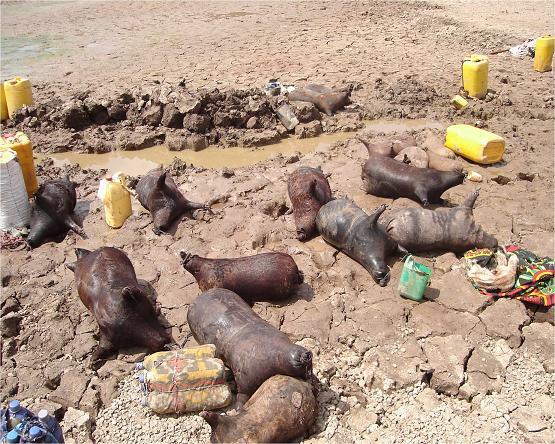 It includes the Danakil Desert, a wasteland of salt and one of the Cruelest Places on Earth. 200 feet below sea level, it is home to vast salt plains and active volcanoes. Temperatures reach 50ºC. There are approximately 3 to 5 million people in the Afar tribe. The average life expectancy is 45 years. As nomadic tribe with an aural tradition, 94% of the people are illiterate. They are a tough people that have lived off this land for ages. Still, there are issues that prompted Warren to get involved. Warren was working as an immigration lawyer and was representing the Afar people in Canada. In 2006, he was invited to attend a development conference in a remote town of Assayati in northern Ethiopia. At the conference, a number of issues were raised including assisting the Afar refugees from the neighboring countries of Eritrea and Djibouti, to providing food security, addressing health issues and HIV/AIDS, education and literacy, provision of fresh water and, last but not least, women’s issues and Female Genital Mutilation (FGM). On his return to Canada, Warran organized fund raising efforts with the aim of providing aid to these nomadic people. Along with raising awareness, health, litereacy, and food aid were the main goals. One of the interesting projects was the provision of water filters to the help treat water. Many people in the region get their water from seeping wells such as this one. 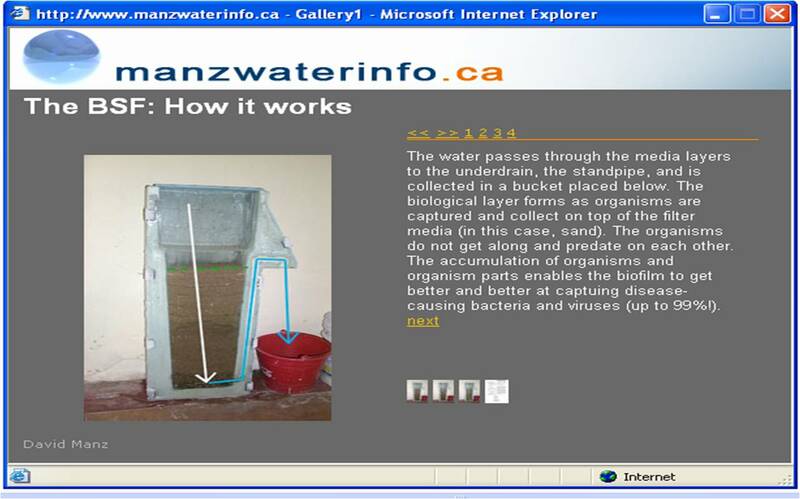 The water filters are an unique design by Manzwaterinfo.ca. Called the Biosand Water Filter (BSF), it uses a cheap concrete vessel to hold sand and stone which filters dirty contaminated water to remove up to 99% of contaminates and disease causing bacteria and viruses. It is a neat idea. 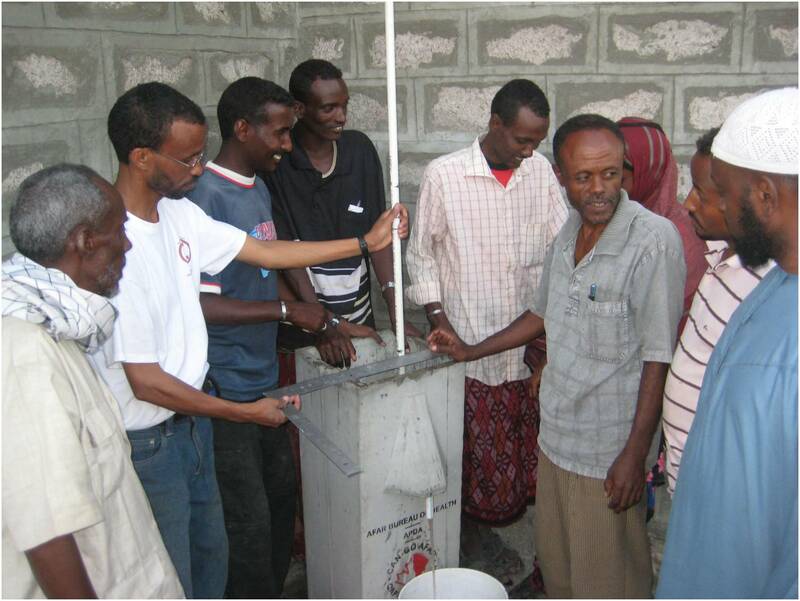 Construction of the filters can be done on site by local people using readily available materials and reuseable molds. We had lost of comments and suggestions mostly aimed at focusing the aid efforts of his small organization on a key area they could have impact. As a small group, they do not have the capability or track record to work with the large government aid agencies and either have to work alone or will have to partner with NGOs to get access to government funds. The water filters, since they are a relatively cheap (about $100 each) and can be constructed on-site, could be branded or sold as charitable contributions. I could see a Christmas campaign with information cards and a small token ornament sold in return for a contribution towards the construction of a filter. As an example of what an individual can do to organize and actual influence people in the world, you have to give Warren credit for his efforts. It is truely inspiring. If you have any suggestions, or want to get involved yourself, please comment here or contact Warren directly through Can-Go-Far. MJM Consulting – Strategic Management Consulting – Helping companies grow.